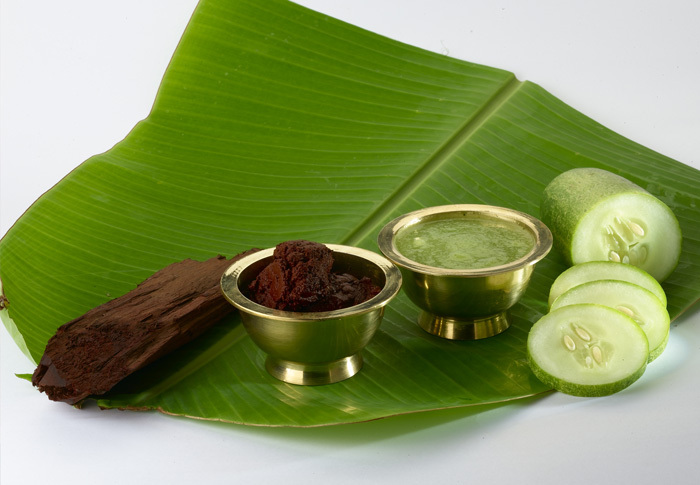 Gods Own Country Ayurvedic Resorts provide the best Ayurvedic treatment for weight loss in Kerala. Having a decade of experience in treating diseases like obesity and over weight, at gods own country ayurvedic resorts , we analyze each individual followed by proper ayurvedic disease diagnosis and then the treatments are prescribed. We provide the best ayurvedic treatment for weight loss that is unique to each individual and their body type(dosha), identifying the underlying factors in the ailment. According to Ayurvedic Medicine the human body is made up of three constitutions, which is also called as Basic Humors called Vata, Pitta and Kapha. Among them Kapha dosha is responsible for Overweight and Obesity. In Ayurveda this is considered as "Sthulya". Ayurveda describes eight types of bodies, which are considered bad. Out of eight the two that are widely explained are: very thin body and very fat body. It has been proved that out of these two those who are very fat gave most diseases and troubles. This is because the extra fat puts a strain on the heart, kidneys, liver and joints such as the hips, knees and ankles. The chief cause of obesity is often over eating, irregular eating habits and not following the rules of eating including improper mixing of food items in one meal. At Gods Own Country Ayurvedic Resorts, special programs are included in ayurvedic treatment for weight loss with the purpose to cut down excess fat, to correct the irregular metabolism and to clear the body channels. Udwarthanam: Also reffered as Herbal powder massage helps to burn fat. This full body massage is performed using a combination of herbal powder. To be effective, the herbal powder mix has to be deeplu massaged into the skin with specific movements. It helps in removing vellulite and toning the muscles. Herbal Steam Bath: It is an effective weightloss treatment in Ayurveda. It also helps in balancing the Vata and Kapha Dosha. On this process, the body is enclosed in a chamber and exposed to steam produced from the medicinal herbs. The duration of a herbal steam bath is typically 30 minutes. Virechana( Medical Purgation): It is also known as medicated purgation, the individual is fed a concoction of herbal purgatives which helps in cleansing the body. Vasthi(Medicated Enema): It is also known as medicated enema, this treatment helps in cleansing the lower alimentary canal. It also helps in clearing the srothas and channels in the body. Yoga for Weightloss: Yoga practice lowers fat deposition in the body and improving metabolism to burn the accumulated fats. In addition, yoga also helps in reducing emotional eating, stress and anxiety related to the obesity.